If Google’s Street View team ever had a strategy meeting about the future of its panoramic viewer and how it intends to consolidate its position as the go-to tool for those keen to get an on-location 360-degree look at a place, it may have gone something like this. While Street View started off in 2007 as exactly that – views of streets – it wasn’t long before the folks at Mountain View removed the cameras from their converted cars and slung them onto bicycles, trolleys and into backpacks to capture off-road locations such as the Grand Canyon, the Amazon rainforest, the Great Barrier Reef, the Eiffel Tower, deserted towns, abandoned islands, and now, in an interesting new development, the interior of the world’s largest passenger plane, Airbus’s A380. 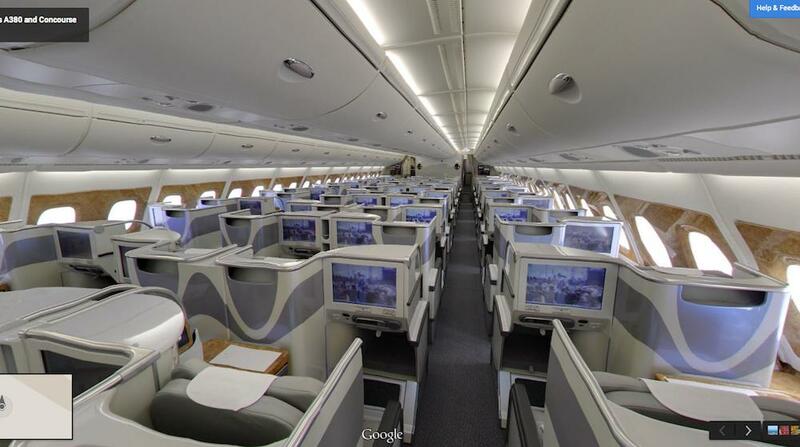 For those not in the know, the A380 is, to put it simply, frickin’ huge. With a wingspan of 261.8 feet (79.75 meters) and a length of 238.7 feet (72.7 meters), this giant aircraft has not one but two passengers decks. And depending on an airline’s seat configuration, the double decker, which has been in service since 2007, can hold up to 853 passengers. That’s right, 853. 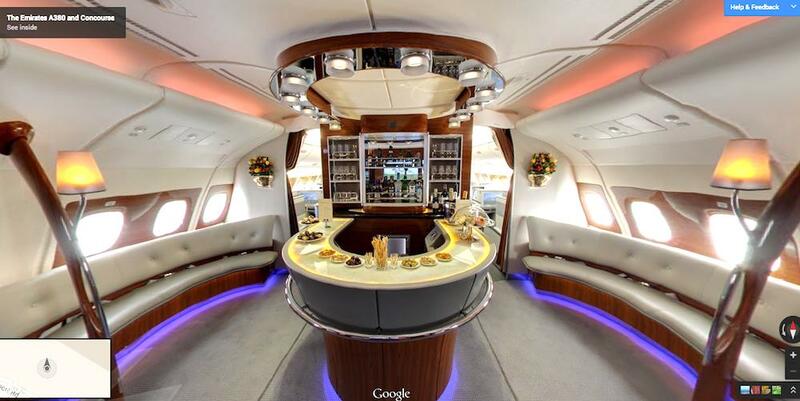 The Street View team recently jumped aboard an Emirates A380 at Dubai international airport to capture imagery of the aircraft that includes the cabins, lounges, bar and cockpit. Can Elon Musk solve the world's energy needs through solar power and electric cars?